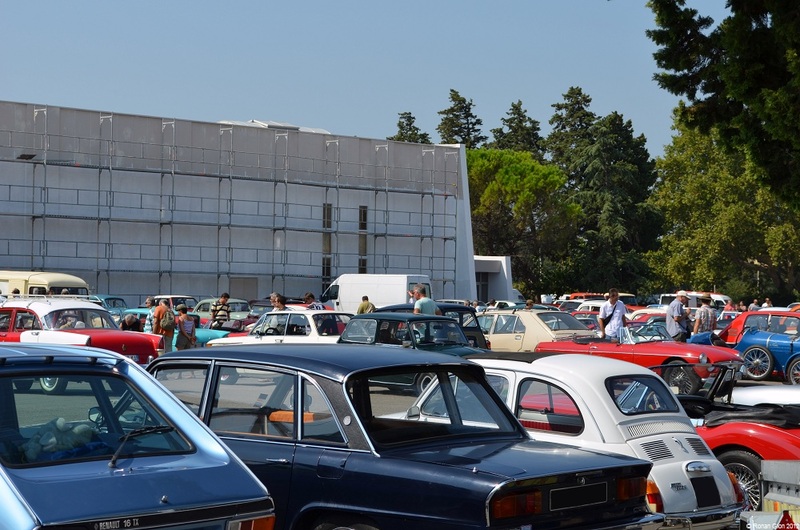 The 20th annual Auto-Moto Retro show took place last weekend in Avignon, France. It is held at the same venue as the Avignon Motor Festival but it is a much smaller show with less cars and less vendors. The idea is the same: those who arrive to the show in a vintage car get in for free and are able to display it at the heart of the venue. Folks who arrive in something modern are relegated to a dirt lot a few hundred feet from the entrance and are asked to pay a couple of euros to get in. Our personal pick for best-in-show goes to a Dacia 1410 Sport, a slightly awkward-looking Renault 12 coupe that was built in Romania for the local market. Finished in an eye-catching shade of red, this nearly flawless example wore Romanian export plates, meaning that it made its trek westward very recently. There were other beautiful automobiles on display, including a very clean Peugeot 304 GL, a BMW E28 M5, a stunning Matra Bagheera X and an Opel Manta painted in a shade of green that we’d never seen before. However, it would be amiss not to point out that the event is slowly becoming less about cars and more into how much is spent on a car, a mentality which closes off the show to a lot of cars that are not prestigious but worth displaying nonetheless. Some drivers bucked that trend and we were happy to spot a Renault Fuego Turbo Diesel and an all-original Citroën LNA scattered among the usual assortment of high-value classics. Below is a small selection of the pictures we took on Saturday morning. If you want the high-res version of any photo shoot us an email and we’ll send it to you.